Deciding to let the fabrics be my guide ( since I had no clue what I was doing) was the best course of action to take with this quilt. I could not have had inspiration to start a quilt at a less opportune time but that is when inspiration seems to happen, when we least expect it and when we are not looking for it. 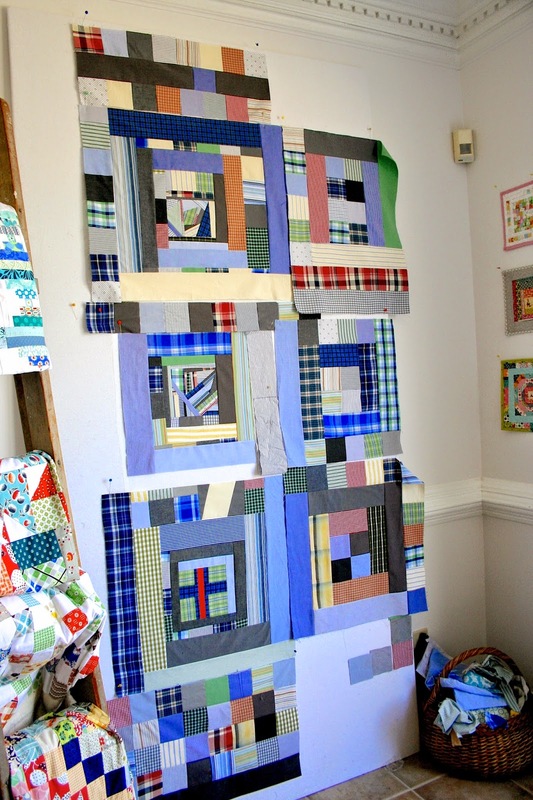 The wall is filling up with some very beautiful blocks and the now eight year old ( HAPPY BIRTHDAY little man) is walking through every now and again to check on the progress of his quilt. I now have an on site supervisor and am feeling the pressure to have this done sometime soon! The approval rating of the supervisor has gone up since taking this new direction ;o) One more way I know this was the right thing to do. 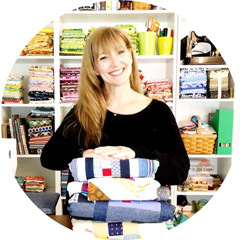 Keep on sewing with that quilty groove, you! Thanks for sharing. Have a super day! It will be a fun quilt and you KNOW that he will love it.